Presides at regional Block Booking meetings at the regional conference, the National Convention and other regional and/or national activities, where appropriate. Coordinates the Block Booking Center in the Campus Activities Marketplace at the regional conference and at other regional activities, where appropriate. Fosters a sense of positive customer service and helpfulness for all system users (associates and school members alike) through transparent decision making, listening to concerns and addressing problems as appropriate. Troubleshoots online system as well as user problems on site and leading up to regional conference. Coordinates with the National Block Booking Team to ensure any and all concerns about contracted, scheduled or held dates that are not correctly reflected in the system (i.e., dropping a CB date or an incorrectly input form) as appropriate and necessary. Attends meetings at the National Convention and regional conference that provide opportunities for feedback about the Block Booking process when available and appropriate (i.e., Associate Member Town Hall). Attends all required trainings and conference calls with the National Block Booking Team. This includes traveling to the National Convention for training up to two days ahead of the start of the Convention. Maintains proper records according to regional and national policies. Recruits, trains in use of current Block Booking software, and supervises volunteers to assist in the Block Booking process at the regional conference, the National Convention and other regional and/or national activities, where appropriate. The Regional Block Booking Coordinator must be a full-time professional staff member at an NACA® member institution. Applicants must not be a current or former employee or intern of an NACA® associate member firm or agency, nor may they plan to be employed by or serve as an intern with an associate member firm or agency within the next year. If the volunteer changes jobs during the position’s term, the new school must also be an NACA® member and provide a statement of support. 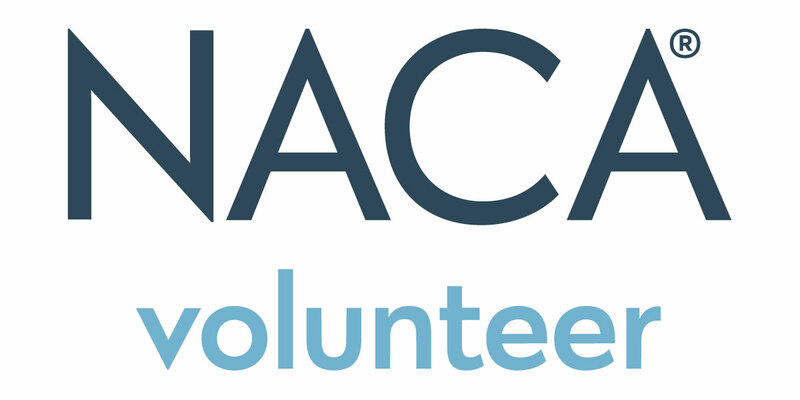 The NACA® Office and National Volunteer Development Coordinator must be informed of this change and the letter of support must be received at the NACA® Office within 30 days of hiring. Registration waiver for the regional conference and National Convention. Conference Chair, National Block Booking Coordinator and NACA® Office will confirm level of support for pre-conference planning meetings and pre-convention trainings. Fall Conferences – Sept 1 through Nov. 30.